Let's talk about the game. I found the start to be a bit too quick. It's not really a big issue, but I still to this day prefer the slower, more contextual opening of Fallout 3. 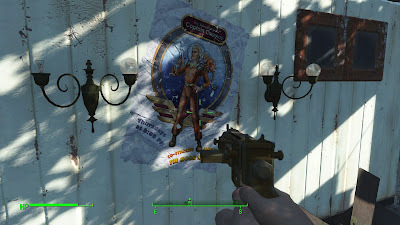 It had development to characters other than your own, and you get to spend time in a Vault Tec vault enough to almost learn its layout, creating a familiar connection between the player and the setting. Fallout 4 doesn't give the player the same chance, but does enough in the context of what is happening to appreciate the "show, don't tell" approach. For example (no spoilers, I promise), in the first few seconds, in the very first "War... War never changes" cutscene, we get the info that our character (at least the male one) is a soldier who's preparing for a sensible speech. It's a smart move the writer made, and we also understand why Ron Perlman doesn't reprise his role as the narrator. We do get to see what the life before the nuking was like, or pre-war, but only for a brief sequence, which is indeed disappointing. But the game has a powerful start even so. We get enough info to get the fun started, in a sense. To be honest, I was impressed and surprised by subtle and not so subtle details. Color, one of the most criticized elements, gives life to the world. Since the game starts up by incorporating the pop culture of the late 1940s through mid 1950s, it's more than obvious that the game would incorporate the colorful lifestyle of that period. Some might argue that things rust in a couple of century, and it is mentioned early in the game, but not everything turns into a greenish mist. Others might argue that color breaks atmosphere, and they'd be wrong. The game gets atmosphere right from the very start and sticks to its power tightly. Not only that, but the atmosphere changes with subtlety and great effect, not to mention the night-day cycle. I need to say something about the combat, the role-playing elements and the crafting, all in that order. The combat has been generously improved. We've heard about Wolfenstein The New Order devs helping out with the shooting mechanics, and if you've played that game you can really tell. It's indeed a blast to shoot stuff, we've got the aim down the sights working well, and enemies are really strong, at least as far as I've played. Deathclaws are a force to recon with. And then there's the highly customizable Power Armor you get early on, plus lots and lots of insane weapons. Bravo, Bethesda, it can be done! 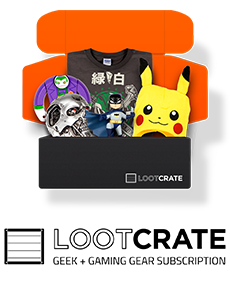 Can you believe the fact that we get to find legendary and rare loot? It's like an actual RPG. Talking about RPG, I really don't understand why almost everyone is upset about the voiced main character. Okay, the argument most used is that it limits conversation and dialogue options, but I disagree. I've yet to find an instance where I wanted to say some other thing that was not in the dialogue wheel. Shameless or not really, the dialogue wheel is ripped from recent Bioware games. That means there's an approving answer, a negative answer, a neutral answer, and at least one interrogative option where you can deepen the conversation. Now, in the same effect, you can't really back out to previous options, since it's not a list. However, the voice actors are amazing, and I found myself drawn into the conversation, I felt connected, even though maybe not always relating. I like it so much, I place my Fallout 4 character next to Commander Shepard and Geralt of Rivia, two of my favorite video game characters of all time. As far as choices go, I haven't reached a moment where I could do that yet, and that kind of worries me, but I have taken my time with the game as much as I could, and I heard that the choices have deep impact on the ending. Hope it is so. Finally, even junk is very valuable and useful. When you start cleaning up mugs and forks, now you know they'll be worth something more than measly caps. All junk is used for crafting, and crafting is so awesome and overwhelming – in such a good way – it becomes a game on its own. You can craft weapons, armor, food, not to mention base building, which is also a crafting thing. Although nothing the level of Minecraft, building is enjoyable for those who enjoy that kind of stuff, like I do. That's all good and awesome. The devs learned a lot from their past mistakes and successes, but also from the community, especially the modding community. Weapons, crafting, building, survival, it's all there. 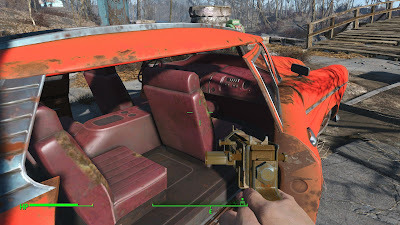 About the subtle details that surprised me in a good way, I found the new usefulness of the Pip-Boy to be a true revelation and an actual companion. Also, the Power Armor is finally a big thing. While the PA doesn't change the gameplay by much, it's does feel like controlling a hulking machine of war, but not devastation. 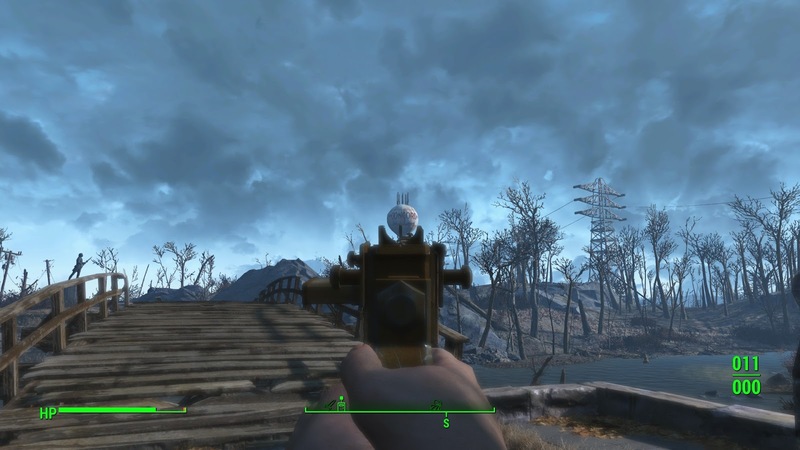 Maybe not the Power Armor, but maybe in the future we actually get to control a force the size of Liberty Prime. A DLC perhaps, eh Bethesda?! You might be asking yourself why I'm not saying anything about the graphics. I won't say graphics don't matter. I am a hypocrite, but not that big of a hypocrite. I already wrote a bit about it, and my point still stands. The graphics are good enough, They aren't a pain to watch, like some I've heard saying, my eyes didn't melt, and I've found the stylistic choice to be fair and nice looking. Now, we'll obviously get very soon an official HD texture pack, and I hope I'm not wrong, but as always modders will make it look better even if the game looked like reality. So I'm hopeful. I know Bethesda and Todd Howard are watching the community and fans and trying to put out amazing content for the players. So I'd like to make some suggestions. I won't ask for the Moon, I promise! We've all been trying to get vehicles to work in the game, but the engine is just too unforgiving in that aspect. Modders tried, all gaming gods bless 'em, but there was just no way to get a decently functional vehicle. Now, I don't know about the lore, I know Fallout 2 had a fast travel car, but I feel like it would make the most amazing DLC. Bethesda, give it a thought, why don't you!? And a thing to cater to us old fans, both accepting, like me, and die hard old-schoolers who won't touch anything that's not isometric. Guys, if there's something I've learned from my time as a gamer is that small things can be just as appealing as big stuff, if not more in some cases. I'm talking about Fallout Shelter and XCOM Enemy Unknown. "What?" Yes, let me elaborate. We're impressed by that one gameplay of The Division in which the guy closes the car door. We're not hard to impress, we just want to seem like that. When 2K announced that they're making an XCOM game as an FPS, everyone screamed in despair. "Yeah, 'cause that worked well for EA's Syndicate." People started asking for a good 'ol turn based isometric XCOM, and probably 2K just asked Firaxis to make an XCOM game just for the gigs. And it was good. So good, it surpassed what they thought would be the flagship XCOM game – The Bureau: XCOM Declasified. I could say much more about XCOM and how excited I am for the XCOM 2, but I'll get to the point. Bethesda, just do a spin-off isometric turn based/real time RPG in the veins of Fallout 1, Fallout 2 and Tactics. It's the best move. I know it's hard to make a game, no matter what perspective it's played on, but it won't be a failure, I just know it. With all that being said, I'm eager to find out what expansions await us. I hope I haven't forgot any of the things I wanted to talk about. This was not a review, by the way. I really want to hear if you have any feelings on what you've read here, so please let me know. Let's talk about it.